Award-winning author Alexander MacLeod will be one of two mentors in the inaugural Mentorship Exchange Program between the Quebec Writers' Federation (QWF) and the Writers' Federation of Nova Scotia. The 2010 Giller Prize nominee will be coaching up-and-coming Quebec writer Josée Lafrenière, while Montreal Gazette Literary Critic and author Ian McGillis will go to Halifax to work with Nova Scotia writer Jessica Chisholm. MacLeod believes that the exchange is a great idea and is pleased to be taking part. He will be mentoring Lafrenière on her work-in-progress. "I'm very impressed with her writing" said the bestselling author. "It's precise, careful and nuanced." 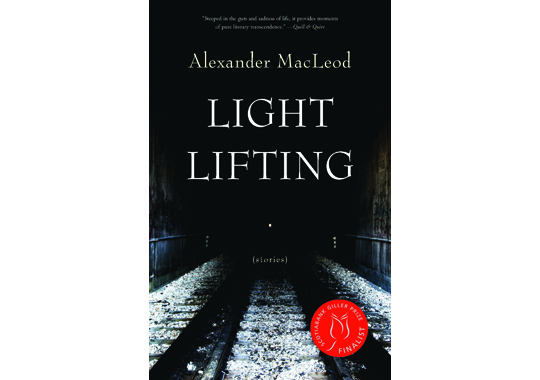 MacLeod's debut collection of short stories, Light Lifting, received rave reviews on both sides of the Atlantic. In addition to being shortlisted for the Frank O'Connor Award and the Commonwealth Prize, it received an Atlantic Canada Book Award. There's an emphasis on labour and physical exertion in this collection, but it also includes stories on parenting and boyhood friendships. The common thread throughout is the setting--Windsor, Ontario. "My dad taught at the University of Windsor, so we spent most of our elementary and secondary school years there before heading back to our house in Cape Breton for the summers." The author's father, International IMPAC Dublin Award winner Alistair MacLeod, taught English and Creative Writing at the University of Windsor, which was a literary hub in Canada at the time. 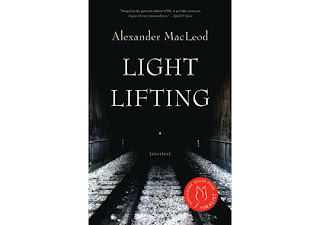 Alistair MacLeod taught alongside Joyce Carol Oates and her late husband Raymond Smith, the editors of the now legendary Ontario Review literary journal, which published work by such illustrious writers as John Updike, Margaret Atwood, Saul Bellow and Phillip Roth. Did this have an influence on the young MacLeod? "Yes, I think it certainly did," said the author, who is a proud graduate of the same university program. "The great Eugene McNamara recruited my dad to come to the school in the early seventies and then that excellent group... Joyce Carol Oates, Raymond Smith, W.0. Mitchell, John Ditsky, Adele Wiseman, Wanda Campbell, Ed Watson, Peter Stevens, and a whole host of year-long writers in residence came together to build this." The author said that he and his family knew what it was like to feel part of a vibrant literary community, attending readings and public events on both sides of the Canada-US border. Alexander MacLeod will be in Montreal on Saturday, February 23, to give a one-day QWF workshop on fiction's position between the poles of poetry and raw journalistic narrative, with a focus on the micro- and macro-levels of storytelling. Unfortunately for many, the workshop was full within hours of being posted. However, you can still catch the author's reading this Saturday at 7:30 pm at the independent Argo Books (1915 St. Catherine Street West). : Alexander MacLeod: MentorTweet this!